Take advantage of these awesome markdowns. Fabulous designer clothing marked down up to 80% off! These pieces will take you through all the seasons with ease. 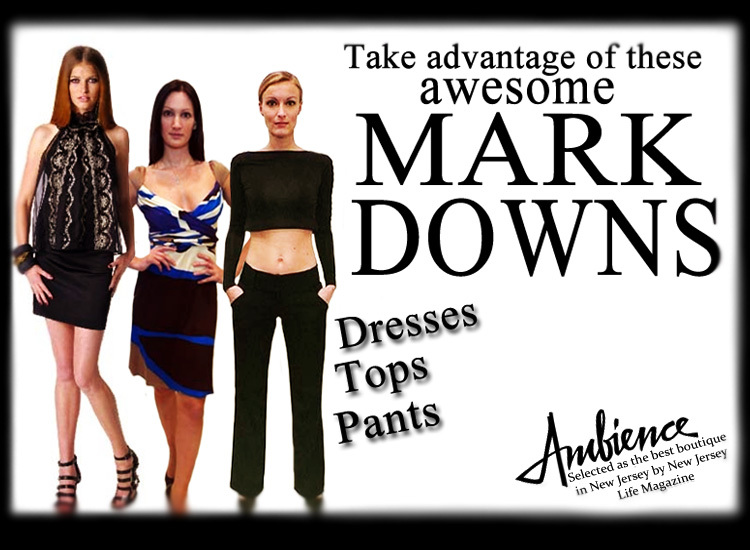 Stay stylish with this sale at Ambience.